BSF Recruitment 2019 - Job notification for 1763 Constable Posts in Directorate General, BSF on Temporary Basis. Applications are invited by Border Security Force (BSF) on or before 03 Mar 2019 for 1763 vacancies. (iii) Two years Diploma from Industrial Training Institute in the trade or similar trade. Candidates belonging to the categories of Garhwalis, Kumaonis, Gorkhas, Dogras, Marathas and candidates belonging to the States of Sikkim, Nagaland, Arunachal Pradesh, Manipur, Tripura, Mizoram, Meghalaya, As~am, Himachal Pradesh, Kashmir, Leh & Ladakh regions of Jammu and Kashmir. All others States and Union Territories. Eligible candidates may send their application in prescribed format (attached below) to concerned Recruitment Agency (BSF HQRs) under which their State falls along with recent passport size photographs, examination fees & other required documents within 30 days from the date of publication of the advertisement in Employment News Paper and 45 days for candidates belonging to far flung areas i.e North Eastern States, Sikkim, Ladakh Division of Jammu & Kashmir State, Lahaul & Spiti Districts and Pangi Sub-Division of Chamba District of Himachal Pradesh State. 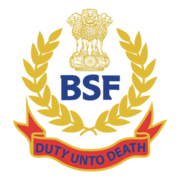 BSF Recruitment 2019 - Apply Online for 1072 Head Constable Posts in Directorate General, BSF, Across India on Direct Recruitment. Online Applications are invited by Border Security Force (BSF) from 14 May 2019 to 12 Jun 2019 for 1,072 vacancies. BSF Recruitment 2019 - Job notification for 58 Capt/Pilot, Commandant & Other Posts in Directorate General Border Security Force, BSF, New Delhi, Guwahati, Assam, Ranchi, Jharkhand, Raipur, Chattisgarh, Agartala, Tripura, Srinagar, Jammu & Kashmir on Deputation / Contract Basis. Applications are invited by Border Security Force (BSF) on or before 31 Dec 2019 for 58 vacancies.